Arjen Heeres, Chief Operating Officer at Quintiq discusses the benefits of optimisation in planning. What IT and software challenges do the airports of today face? The aviation industry is very connected. 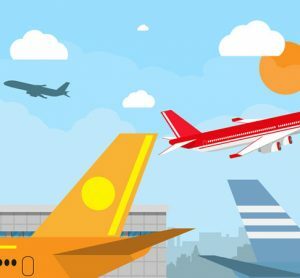 Airports have to align their processes and decisions with a multitude of stakeholders including airlines, passengers, airport staff, air traffic control, ground handlers and other service providers. This means that even the slightest of changes has widespread impact. For example, a delayed flight often has a knock-on effect causing additional flight delays and increased waiting times for passengers. Resource allocations need to be adjusted quickly and countless decisions have to be taken, all while delivering a new plan that minimises waiting times for the passengers and is cost-effective for the airport. Doing this all under immense time pressure requires advanced decision support. Optimisation in planning and scheduling is critical for airports to remain profitable and improve customer satisfaction. Why is it important for airports to align and/or centralise their software operations? Making well-informed, timely choices requires integrated decision making. A central planning system should recognise the impact of disruptions and enable the planner to resolve issues before they occur. Initiatives like Airport Collaborative Decision Making (A-CDM) make it possible to exchange data on a larger scale. But to avoid bottlenecks in passenger flow it’s essential that the information can be used quickly to make well-informed resource allocation decisions. The decisions made by the planner have a direct impact on the performance of the airport. Ultimately the passenger experience is dependent on the weakest link in the value chain of the airport. Having the right resources available will minimise service failures, turnaround times of aircrafts and the risk of unnecessary waiting times in a cost-effective way. A central planning system can use all the information available to generate optimal plans that score well on both customer satisfaction and airport profitability. 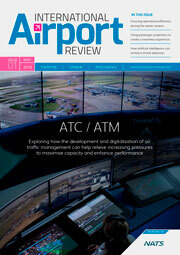 What solutions does Quintiq offer for airports in terms of planning and optimisation technology? Quintiq’s aviation solutions enable airports to optimise resource allocations throughout the value chain. 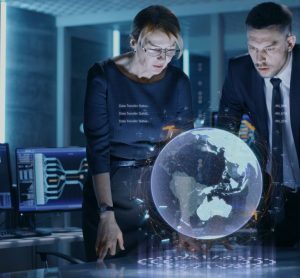 Using Quintiq technology, all of these resources can be handled within one solution, not only for operational scheduling and dispatching purposes, but also for tactical and strategic decisions. Quintiq enables planners across the airport to align their decisions at all stages of the planning process. Since having more data available doesn’t necessarily make it easier to make decisions, Quintiq solutions provide algorithm support. Planners use this for continuous optimisation on the day of operations but also to quickly analyse and evaluate various scenarios for dealing with their tactical and strategic challenges. How do these solutions benefit the airport? The challenge for planners and dispatchers is often to find the right balance between conflicting objectives. For example, reducing the expected waiting time for passengers may require more staff or other resources. It’s therefore important for planners to have full visibility across the entire airport in order to identify excess capacity or potential shortages. This 360-degree view enables planners to strike the right balance in meeting service level agreements and ensuring customer satisfaction in an efficient and cost-effective way. 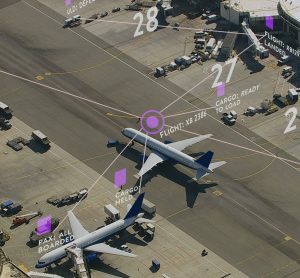 All rules, restrictions and goals relevant to planning are known by the system and Quintiq uses this information to generate optimised plans across the entire value chain of the airport. For example, Copenhagen Airports uses Quintiq to optimise the planning of 2,100 staff; providing greater visibility and flexibility for handling real-time events. 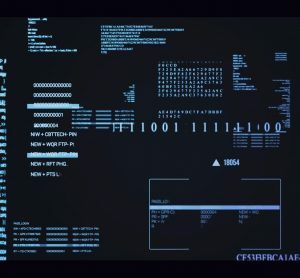 How have these solutions been received in the industry to date? Our solutions have been very well-received in the aviation industry. We have used our software to help customers address varying planning challenges. The aviation industry is very dynamic and competitive, customer satisfaction and cost efficiency are key factors to success and we ensure the delivery of a solution that is a 100 per cent fit for complex planning challenges. We provide visibility and flexibility for handling real-time events, enabling our customers to reduce costs, increase efficiency and positively contribute to the passenger experience. How is airport technology changing, and how do you see the industry shifting going forward? With more and more data available, airports are taking the opportunity to look further ahead. Apart from dealing with the operational challenges many are preparing themselves for growth. This in turn means increasing efficiency, better utilisation of existing resources, and investing for the future. Airports are expected to invest billions of euros in the next 5-10 years into significant expansion projects and they need to be confident they’re investing in the right resources. To do this they firstly need to address the real bottlenecks. This is where they will see the most return on investment in terms of increased capacity and improved passenger flow. Tools for demand forecasting and strategic resource planning are critical in supporting these decisions. Arjen Heeres joined Quintiq as Chief Operating Officer in 2000 and has almost 20 years’ experience in the IT industry. In this current role, his focus is on the European business units, marketing and sales, and alliances to manage the rapid growth and expansion of the company. 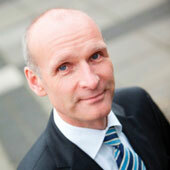 Arjen is also a member of the Quintiq Board of Directors.